We beseech You to spare us, good LORD! I have a question for Dr. Noland and others on this board. What are the chances that Harrison get re-elected? In my little corner of the LCMS, I have not hear any dissatisfaction with Harrison. I don’t know if my area is not representative of the LCMS at large. What is your sense the feelings are toward Harrison in the parts of the LCMS you are located. I don’t know if there is a move for a change of leadership in the LCMS or if this is like some of the past Jesus First campaign efforts. “Their [Lutherans Alive] main cause seemed to be the broadening of the LCMS traditional practice of “closed communion.”” What is meant by “broadening”? Does this mean increasing the practice, or diluting the definition? It’s been such a very long time. I just can’t understand why this is happening in LCMS & WELS. It’s why this site started, what we all, valiant efforts & telling the truth…here we are again? This, as we all knew years ago & we are Lutheran, we should know now: is the Holy Ghost’s ground. I don’t understand how this is still “a thing”… It’s Dutch…yep that one. I don’t understand…how is this still a thing???? Oh, Helen…Dutch here. I don’t understand. We are Lutheran, how can we do this, over & over again. I find it ironic that “Round up the usual suspects” was actually said to send the Vichy cops chasing after men who WEREN’T guilty (as opposed to arresting Rick, who had actually shot the German major–right in front of Renault!). But some of you are using “the usual suspects” to mean those you “know” are guilty of false teaching, subverting the LCMS, etc. First, I want to thank Editor-in-Chief Pastor Scheer, his staff, and the BJS board for allowing me to post here. I am posting here as a guest, and appreciate that privilege, and hope it is beneficial for all who want to preserve the essentials of Lutheranism. Second, it is already Advent-Christmas-Epiphany season, so I am in the busy time of year for pastors, and can only respond in a cursory way. Third, to comment #5, your first question is “What are the chances that Harrison gets re-elected?” The chances are not good for anyone to get elected president if those who approve of his candidacy don’t send in the nomination ballots, which are due at synod’s office by February 20, 2019. The chances are not good for anyone to get elected president if those who approve of his candidacy don’t speak up in his favor when it comes time for congregations to vote via Internet for the president. The chances are not good for anyone to get elected to other offices if those who approve of their work, or their stance, don’t get elected to be delegates–or fail to express their opinion about that work or stance to their elected delegates. I don’t get the sense that the majority of the LCMS is dissatisfied with President Harrison and his staff, but I am not taking polls, so I could always be wrong. Where can we then look for some evidence? I’d say, look at the 2018 district conventions. My impression from the election of district presidents (DP) in 2018 is that the new district presidents (i.e., first elected in 2018) in many cases are more “conservative,” i.e., less aligned with the persons and causes of the “Jesus First” group, than their predecessors. This did not happen in every district that got a new DP, but there were a number where that happened, and some that were a total surprise! There were no districts that went in the other direction, i.e., more aligned with “Jesus First” persons or causes. I think this group of district presidents is more cohesive than ever before, certainly in the period of my own ordained-career. Where in the synod is there some dissension? If you look at the Congregations Matter (CM) website, the only signed articles there are from two district presidents: Larry Stoterau, former PSW DP and Anthony Steinbronn, current NJ DP. If you look at the article on the CM website titled “PSW President…” from October 2017, you will see mentioned three DPs who protested the changes to Bylaw 2.14, which changes were approved by the synod in convention, the LCMS Board of Directors, and the Council of Presidents. These three DPs are: Larry Stoterau, Ken Hennings, former TX DP, and John Denninger, former SE DP. I don’t know how CM is organized or who is behind it, because they have effectively raised a “veil of anonymity.” But Editor Scheer’s post that is linked here suggests that at least some of the same people are involved as was found in Jesus First. As I noted in my post, the bulk mail indicia for the Congregations Matter flyer points to Tomball, Texas, which was the home of two members of the “Leadership Team” of Jesus First. Jesus First used to have a sub-committee that worked with select members of the Council of Presidents, i.e, a number of district presidents. So evidence points to a political campaign by former Jesus First operatives and allies similar to what we have seen in the past under the Jesus First name. In response to comment #6, by “broadening” I meant that the intent of “Lutherans Alive” was to “open up” the LCMS practice of “closed communion,” so that more types of people could take communion at our altars than simply those with whom we are in fellowship with. I think that covers the questions in the comments above. Off-topic but same people…nice to see TCN is now no longer an RSO of the LCMS. Let’s be honest here. This whole issue is about a vocal minority of pastors who feel the need to intrude into the congregations of other pastors. There is a serious problem with the pastors in this synod not playing nice with one another and putting the most devious possible construction on anyone outside of their own congregation. It is quite frankly sickening to see the pastors in this synod bicker at one another the way they do. The change that is being spoken of here is coming from the opponents of CM as they are trying to change the constitution to allow the Synod President to intrude into the role of the District Presidents. Quite frankly, I don’t blame some of the District Presidents from taking the stance that they are taking when it involves the synod president overruling them. Its also disconcerting to see an article that is relying completely on innuendo rather than proof as the main source of its argument, and do so under a Lutheran title. And yet the “usual suspects” is amusingly ironic BECAUSE of the understood truth underpinning it: that there are criminal element types that are ALWAYS getting into trouble. With too strong a frequency the delinquents are often delinquent, causing the majority of mischief. Good tree = good fruit, bad tree = bad fruit. The juxtaposition is precisely what allowed Rick to skate free, since too many times the trouble makers would cause just this type of problem. As Pr. Noland pointed out, a lot of these people we can identify have consistently been involved with these change agencies, persistently agitating for change. They have never stopped, even when told no. Matt Becker is an extreme and glaring example: removed/resigned after 26 years, of which about 20 were spent in dissent with the Synod. Not really the whole story. How about PLI, teaching what they don’t teach at seminary, in my view coveting to be a third seminary of self importance. DP’s aren’t liking the SP exercising authority, but the DP’s do that ALL THE TIME through the call process, demanding that only approved pastors can be considered from their created call lists. Some are helpful to vacant congregations, some are quite deliberate in selecting progressive types to try to guide stubborn conservative congregations away from historic LCMS practice. President Harrison is actually trying to be the team players guiding Mother Mo to a common confession. Not too long ago I figured about 1/3 of the DP’s wanted to stiff arm him and do their own thing… makes you wonder who the cooperative ones are. Harrison trying to work within the system, I would argue to reform and improve it. PLI, Best Practices free conference, 5-2 Network (in DP Henning’s district, helen has often share her observations there), East Coast Endeavors (not to be confused with the actual East-Southeast Region). Who is running the shadow government? trying to interfere with the stated adn taught goals of the Synod? Harrison the bad guy? Please! http://lutheranclarion.org/images/NewsletterNov2018.pdf ; see Appendix on page 5, which is all the relevant constitution and bylaw sections from 1847 to the present. The synod president’s power to intervene when a district president fails to act in a potential case, and when requested by a “complainant,” has always been present, except when it was “silently” dropped in 2004. “Silently” means it was buried in reams of bylaw changes in 2004, and no one on the “outside” (including me) noticed the change, until the Matthew Becker case. No one in the former synod administration has come forward saying he intentionally deleted this Article XI.B provision, so therefore we have to conclude that the deletion was accidental; but it may not have been. These are facts. Simple facts. Please read the Constitution and Bylaw sections for yourself. No, the struggle was not in vain. The basic problem that we have had to deal with since 1976 is that not all who agreed with Seminex left with them. This was admitted by John Tietjen in his “Memoirs in Exile.” Going by memory now, I believe he said that 1200 congregations of the synod were on the list of ELIM and Seminex supporters. It is unusual to have entire congregations signed up that way, as opposed to individuals. 250 of those congregations left with Seminex faculty and students into the AELC. That means 950 congregations, out of 6000 congregations, remained in the synod who were influenced by or dedicated to the theology and practice of Seminex. Seminex people, by the way, became the LEFT-WING of the ELCA, as Carl Braaten and others have complained! Although that pro-Seminex minority of congregations averaged out to 1 out of 6 synod-wide, it has been concentrated in certain districts, which are able to elect officers and control agencies so that they agree with their ideas, which are contrary to the synod’s ideas. That’s all. It is not more complicated than that. This is not innuendo. It is a simple fact admitted by John Tietjen! Why did I even comment? You obviously “know” that “the usual suspects” are, without nuance or exception, evil liberals who deserve nothing but to be purged from the Synod. BJS and other “confessionals” have a 100% monopoly on the truth–I get it. Enjoy being angry all the time! To me one of the biggest mistakes in LCMS history post 1974 was that JAO Preus allowed a number of Seminex grads back into the LCMS. This caused untold damage over the years and is still seen today in Congregations Matter (i.e. District Presidents Matter) and its forerunner Jesus First. “Matt Becker is an extreme and glaring example: removed/resigned after 26 years, of which about 20 were spent in dissent with the Synod.” And to this day continues to mold young minds, and likely has no idea of the damage he has inflicted. “Who is running the shadow government?” Now, c’mon…We know the answer to that one. That’s right–if you think someone has evil motives, they do. Guilt by association is a perfectly fair way to judge other people. No one could possibly object to changing the constitution of a church body for any conceivable reason other than the desire to encourage false teaching. Congregations Matter (about which I know very little) is apparently a political party within the LCMS. BJS is another. United List is another. Politics is an unavoidable reality within a human organization, even one composed entirely of Christians. Just as the GOP and the Democrats are damning each other as 100% evil without a flicker of good to be found within each other, so you people are damning “liberal” groups such as CM and Daystar without restraint. To the detriment of brotherly amity and the very idea of fair-mindedness! I have read some articles on the Daystar website. I found some of them to be pretty good. I found some of them to be pretty bad. I found some with a mix of good and bad. Kind of like this website! But “the other Jason” and “St. Stephen” think opposition to certain Synodical policies is a “shadow government.” Are you guys Donald Trump? Do you even realize what you sound like? “Shadow government”–is encouraging paranoia and distrust between Lutherans actually your goal? If so, you’ve made a fine start! Well, there is also that part about swims like a duck and quacks like a duck. I find it interesting how outraged you are over something you openly admit knowing so little about. Perhaps you should spend more time watching ducks. I should think it was the business of the SP to “overrule” any DP who is operating against the constitution and by laws of Synod. (Open communion is just one widespread instance.) It isn’t “overruled” enough! Being a Texan I had about 20 years of GK…about 21 years too much of that would-be-baptist politician for the good of Texas or Synod! Texas has still got his clones and other places do, too, apparently. Yes, I know the whole saying, Mr. Knowledge. I have read a few articles on the CM website. That’s all I know about them. One of them criticized the Synod leadership for closing down Concordia-Selma. How is THAT article related to some secret cabal of “liberals”? It isn’t. What I’m outraged about is people like you, “Reverend,” who smear every single person in CM (or any other organization) as wanting to undermine the LCMS. Who use sayings about ducks to put the WORST construction on things. Perhaps YOU should spend less time “watching ducks” and more time worrying about your own parishioners, and not what other people in other districts are doing that you THINK are bad. Who are you to question my sincerity? You’re just a name on the Internet. Why not try refuting my arguments instead of engaging in ad hominem attacks? You do realize the hypocrisy of your statements here right? You generalize about this site and even the commenters here but decry someone doing that about CM. Stop or face moderation and banning. Your “arguments” seem to be nothing more than angry rants. It’s difficult to engage you, since such an effort is likely to elicit another rant. Well, Pastor Scheer, I guess maybe you should ban me. Remove the temptation to comment. As I said to you once before, all I seem to be doing here lately is making myself and others angry. Not good. I am not persuading anyone, so I guess I should bow out of commenting here permanently. Please forgive me, LaMarr and Pastor Ringer, for my angry comments. And please forgive me, anyone else I have offended over the last several months. God bless everyone on this website. I didn’t take your comments as offensive, so no need for you to apologize. May God be with you. 1. Do you want Holy Communion to be open to those who do not share our confession? 2. Do you want women to serve as lector’s, communion distribution assistants, elders, pastors? 3. Do you believe that worship is primarily feeding the flock of God on Word and Sacraments, or is it a place primarily for the evangelization of unbelievers? 4. Do you want more culturally “relevant” contemporary worship services and consider the historic liturgies to be inadequate to communicate the Gospel to today’s culture? 5. Do you want DP’s to be unaccountable even if they do not uphold the official positions of Synod? 6. Do you believe that a congregation that wants those things listed above should be permitted to remove their called pastor who doesn’t want those things? John Wohlrabe would put the date a bit earlier, but the major challenge to the doctrine and practice of the LCMS that served as a sort of line in the sand was the failure of the LCMS to respond to the Statement of the 44 in 1945. It was at that time that 44 well known LCMS theologians issues several statements of affirmation that sought to get the LCMS to be a more ecumenical church body and downplay the role of doctrine as being divisive of fellowship. There was never a public repudiation of the statement of the 44. The statement was merely withdrawn and none of the signers was ever disciplined for their errors. This failure to deal with the infamous Statement of the 44 lead directly to the so-called “Battle of the Bible” during the 70’s. Herman Sasse’s well-known letter to a colleague while he was a guest professor at our St. Louis seminary in the 50’s or 60’s bemoaned the fact that he was shabbily treated by many (but not all) of the STL faculty. Sasse identified the cause of his mistreatment as being his unwillingness to support getting the LCMS out of it’s theological “ghetto” and become more involved in the ecumenical movement. Perhaps this is the attitude of some pastors, but I don’t know too many that feel that way. I don’t know any district presidents that feel that way. If the business of an individual pastor was none of another pastor’s business, then it would certainly NOT be the business of a district president. The district and synod presidency is built on the notion that, in a synod, all of the congregations in the synod are the business of the president and national convention, and all of the congregations in a district are the business of the district president and district convention. The only types of church where this is not the case are non-denominational churches, which are individual congregations that have no accountability whatsoever to a larger corporation of ministers or congregations. Why is the business of another synod congregation also my business? It is because of the idea of church fellowship, which is not unique to the LCMS. Being a member of synod means that I can freely transfer a layman from my congregation to yours, no questions asked, and no interrogation of your doctrine is appropriate. If my lay member is moving from Belmont, CA to Litchfield, IL, I can look up Litchfield, IL, find the contact information for the church there, and direct my member to that pastor and congregation as soon as possible. Good pastors do that, so that their former member does not wander around or drop out of church entirely when they move out of town. Being a member of synod means I assume that all the congregations in the Lutheran Annual not only believe in the entire canonical Scriptures to be inerrant; rely on those Scriptures as the only final judge in matters of doctrine, church practice, and morality; confess and follow all of the Confessions of the Lutheran Church as found in the Book of Concord; but also respect and uphold all of the doctrinal statements and resolutions of the synod. This is what we agree to when we join the synod, and it makes transfer of members, sharing of altars, sharing of pulpits, mutual support of schools, and mutual support of missionaries possible—it makes possible all the manifestations of church fellowship. So it is not a matter of my trying to interfere in someone else’s business. It is a matter of being able to trust another pastor and congregation so that we can share together in the work of the kingdom of God. It is really not that difficult, though some individuals can make it difficult. If congregations don’t want to be involved in this sort of church fellowship, then they should leave the synod and become independent. Grace Lutheran Church, River Forest, Illinois did that about 1977, and it was big enough and rich enough that it could manage everything on its own. That might be a solution for some congregations that don’t like being yoked to other congregations. But it is not a biblical solution. Jesus wanted his church to be united, both in doctrine, practice, and fellowship. So we strive for that with those with whom we have a common doctrine and practice. I hope this makes some sense. It is kind of an apology for a synod per se. Pr. Bolland expresses nicely the problem of our more liberal minded friends. In their zeal to save the lost (a worth while endeavor), they appear to have a great willingness to allow anything to go. What I find most ironic is that some of these advocates complain loudly how no one wants to come to church and maybe we should go out to them, SELL OFF OUR GOTHIC BUILDINGS AND MAYBE MOVE INTO STOREFRONTS AND HOMES. To get those who are not attracted tot the church, massive marketing campaigns are devised using very ATTRACTIVE messaging. Disconnect, anyone? I found Dr. Wohlrabe’s paper online once and downloaded it. Quite a good read. I was able to use his foot notes to search references. One thing of note was it helped me find partial transcripts of the Yankee Stadium event, which is easy to watch on YouTube. Personally I found it quite easy to pinpoint precisely when and how Dave Benke managed to upset much of our synod. Very sloppy in his presentation in that regard, and unbecoming the whining that proceeded after it when called into question. Yet as DP he cast a large shadow over the northeast for 24 years.. Home of Bronxville, many lay ministry programs, and East Coast Endeavors to keep their own programs out of sync with national directives to clean up the lay deacon mess. And therefore here is where I have a different type of take on Pr. Noland’s brilliant comment. Many district’s are collegial, but some have internal tensions. But I do find it manifest about some DP’s employing that “none of your business” cockiness towards St. Louis and Pres. Matt Harrison. Linnemann, Newton and Stotereau telegraphed that the Pacific Coast was going to continue if not expand lay deacons no matter what the 2016 Convention decided. Linnemann/Northwest shielded Matt Becker, until fellow DP Forke had the high position that Linnemann could not blow off anymore. My observations of reading proposals coming out of district conventions is that Florida-Gerogia is about as agitating. I heard a few years back that a few DP’s asked CCM about Harrison’s ability of oversight, maybe trying to get an answer that would limit him. I believe DP Steinbronn admitted he was one of them, but hadn’t heard if the others put their money where their mouths were by also transparently stating they were apart. If I sound “mean” it is because I get frustrated watching these things unfold. But we can’t talked about them because “8th Commandment”. What, leave this to operate in the dark? Not shine the light on the political movements? “Do what I say, not what I do”? Yeah, I’ll pass on that b******t.
Dr. Noland I agree with you. Upmost, the very Scriptures, namely Pauline Epistles, contend that false teaching and practice in a local congregation is also addressed by Pastors, people -outside- of that local congregation. Scripture does not support autonomous local congregations but an ecclesia. People often misquote Luther, Walther and Lutheran Fathers when translating “church” to mean just the “local, autonomous congregation.” They don’t, perhaps ever! In historical Lutheranism, the historic Church it is unthinkable for a local parish pastor to change anything! or do as he/they please apart from the ministerium and ecclesia! For the local LCMS congregation -it is not your Supper, your liturgy, your confession of faith, it is OURS. And should be treated as OURS, or you can always leave. Thank you for addressing my concern directly. While I agree with you in theory, what I have seen acted out in reality is exactly what I said. Some who claim to be “confessional” interfering in the goings on in other congregations who are faithful to the confessions but not identical to their congregation. In doing so, they aren’t actually faithful to the confessions which admits that differences in rites and ceremonies are in some sense adiaphora. Thanks again. I am glad that we agree in theory, which means we are understanding each other! So… your experience has to do with conflict over worship and its rites. That is a more complicated field than most people are willing to admit. I don’t think anyone in the LCMS has ever been brought up on charges for expulsion over worship per se, though I could be wrong. It is mainly a problem of judgmental attitude, and sometimes insults, that I see from either side of the aisle, though sometimes it can divide congregations when not handled properly. Lutherans have a complex doctrine and practice of worship, and that complexity is part of our heritage. Every German-Lutheran territory and every Scandinavian kingdom had a different liturgy book and different hymnbook, but within each territory or kingdom the pastors followed the same books without variance, because they were state churches, and it was the law. Thus people who argue against “uniformity” in worship don’t see to realize that our Constitution says that the synod and its members are supposed to “encourage congregations to strive for uniformity.” Conversely, people who argue that everything must be exactly the same everywhere, if there are such people, don’t appreciate that variety is possible. In that article, I did an exegesis of the relevant passages in the Lutheran Confessions that pertain to worship. I also critiqued the false dichotomy between Lutheran “style and substance” that was commonly taught in that decade. This article is a continuation of original research that President Harrison did on this topic back in the 1990s, and published in: ‘Martin Chemnitz and FC X’, in Mysteria Dei: Essays in Honor of Kurt Marquart, eds. Paul T McCain and John R Stephenson (Fort Wayne, IN: Concordia Theological Seminary Press, 1999), 79-99. That book is out of print, but its article is still worth reading, if you can obtain a copy. I hope this helps provide some other resources for those interested in studying this topic. Thank you Pastor. Whew, I hoped & prayed this is the answer you’d give. Thanks & blessings to you! I would disagree (OK, probably quibble would be a better word!) with your statement that no one “in the LCMS has ever been brought up on charges for expulsion over worship per se” — 1) Dr. David Benke, Yankee Stadium worship; 2) Pres. Gerald Kieschnick, Holy Trinity (ELCA). Yes, both of these cases had to do with unionism and/or syncretism, but the bottom line was it WAS about worship. Nowhere is worship in heaven portrayed more clearly than in the book of Revelation. There are seven worship scenes given to us (cited below) in the Revelation of St. John, and it should be noted that never is an individual preference being exercised in any of them. Never is there a cry for Christian “freedom” to do something that pleases a group or an individual. In each and every instance, we see explicitly liturgical worship occurring. Nowhere is there even a hint at being casual, informal, or user friendly. To be in the presence of the Holy and Almighty God is to humble one’s self and to exalt Him only. This, of course, makes sense. In heaven as it should be on earth, every vestige of disunity is removed from Christ’s Bride the Church. Naturally, worship is a unity before the God who is unity itself. Things are said before the throne of Christ in complete unison. Torches illumine the worship. People and angels constantly fall on their faces before His throne. Those attending the throne are vested. Incense is offered with the prayers of the saints. Palm branches are waived, and the angels are in attendance. Trumpets are blown, and the people sing praises to God extolling His virtues and His magnificent salvific acts. In heaven as on earth, worship is completely about the One who sits on the throne – the Christ of God! The Church through the ages has not missed these biblical descriptions. Indeed, earthly liturgical worship is very intentionally doing its best to mimic these very scenes. Our earthly worship seeks above all else to give us a glimpse of heaven and to join heaven and earth in the very act of worship which literally transcends time and space to embrace all Christians of all times and places. The very angels and archangels join with us as we gather for worship. The Divine Service says, ”With angels and archangels and all the company of heaven we laud and magnify Your glorious name evermore praising You and saying…” . And it is true! Our earthly liturgical worship simply leans toward heaven, joins with heaven, and mimics heavenly worship. How else could it be? Non-liturgical worship often leans toward and mimics the worldly culture around us and manages to make what should be heavenly worship only more worldly. Rather than bringing the worshipper to heaven, non-liturgical worship simply leaves the worshipper in the world and caters to personal preferences and tastes rather than rejoicing as one before the eternal throne of our Savior. In doing this, we have offered stones for bread to the people of God. There is a common misunderstanding that if Holy Scripture does not explicitly command or specifically forbid something, then the Christian or the congregation is free to act as they wish. Things that are neither commanded nor forbidden are termed adiaphora within the Church. Like the false dichotomy between doctrine and practice, so too is there a false dichotomy between things which are commanded and forbidden and those things that are not. This is especially true respecting the liturgical worship of Christ’s Church. This particular citation from the Lutheran Confessions has been much abused by those seeking to exercise their mistaken notion of Christian “freedom” at the expense of unity within the Church. Some have even expressed the errant thought that as long as there is agreement in the Gospel (narrow sense – Christ died for the forgiveness of your sins), the pastor or congregation is free to believe, teach, confess, and practice all else as they wish. This is, of course, an extreme example of so-called Christian “freedom” that has become license. However, in matters pertaining to doctrine, the “doctrine of the Gospel” noted in the citation above embraces all articles of doctrine that comprise the Gospel which is the entire corpus of Christian/Lutheran doctrine. With respect to worship forms, the citation is not speaking of being bound by human traditions and ceremonies in the sense that one is free to do as they please in this – the central activity of Christ’s Church. Rather, it was used to refer to the insistence by Rome that all must use the western rite of worship as Rome had it or were guilty of sin and disobedience, and that to use the western rite was meritorious in the sight of God. This required worshipping Lutherans to sin because the Roman rite contained dogmatic errors. Thus, the proper use of adiaphora comes into play when someone demands or insists that some human tradition or ceremony be followed to the detriment of the Church. In such an instance, the pastor and congregation are obligated to disobey the unbiblical demand on the grounds that it is not commanded by Scripture. This contention does not refer to some congregations who may use the Office of Matins rather than the Divine Service on occasion. Both of these orders of worship are good in their proper role. It is, therefore, not necessary to have every congregation using the very same order of worship all the time (although there would be no harm in doing so). That said, it is a benefit to have the greatest possible uniformity respecting the use of worship forms within an institutional church body for the sake of a Godly unity within the Church. Human tradition is, of course, subject to fallibility and error. When error occurs, it must be opposed regardless of who is demanding conformity. At the same time, traditions and ceremonies can and do provide a valuable integrity to the fabric of the Church. Such traditions and ceremonies establish continuity throughout the ages back to the apostolic era and into the Old Testament Church. There really is no downside to seeking the greatest possible uniformity in worship, church governance, church structure, and the like. The more uniformity exists, the more unity in Christ’s Church is supported. Yes, even in matters of adiaphora, unity takes precedence over personal desires and preferences. Such a course of conduct merely echoes the perfect unity of the God we worship. Amen. Thank you Pastor Bolland. I cannot speak, for any one but me. Has this been a bane, for me these last 6 yrs? Yes, it has. If I depart WELS, I abandon my boys. If I go back to LCMS, where we are all from, will I still abandon, my boys? Yes. Will I ever kneel at a rail w/my children, more than likely, not. Have I made the decision, to come back to LCMS? Yes. Seeing this? I left because of this, & now seeing this is still a thing? Gutting. I have to make a choice, no choice, as a matter of fact. I just thought, what we all did, a decade ago would have stopped this crud. But, if in so many decades, those good & great could not, what hope did we all have a decade ago, here at BJS? Decisions, I choose to go back to my home, what I know, what I was taught & taught others. I really just wish, all we all did here, at BJS, so long ago, would have changed…at least something. I know my boys, cannot pray nor attend. But, at the close of the day, my Faith, is mine. That is betwixt me & my Lord. And as the Hymn goes: Goods, fame, child & wife, let these all be gone, they have yet nothing won.” Hope springs eternal, so they say. Tomorrow, is another day! Pastor, if it easier, ya can still call me Dutch, that I have not given up, nor have I lost!!! Marty may disagree with me, but I am a bit less optimistic than he is. Not respecting the prospects of Harrison being elected. I believe he will because, to my knowledge, CM has not put together the circuit-by-circuit delegate selection process like the one that resulted in the 2010 election of Matt Harrison. I also don’t believe that people appreciate the anonymous nature of CM any more than they do the anonymous nature of the United List. People who don’t have the courage to put their name to their actions certainly don’t usually get my respect. My lack of optimism stems from the fact that I do not believe that Harrison continuing in his POTS position will actually change anything other than a small victory here and there as has been the case in the past. Our fundamental problem as a Synod is that we continue to tolerate error and false teachers without either correction or removal. It does not appear that the Synod as a whole (admin/COP) has the will to deal with those who are not actually LCMS among us. When a Synod does not correct or remove those who err, we are by Pieper’s definition a heterodox church body. Part of the problem, of course, is the COP and DPs specifically who run their districts as though they were independent Synods of their own. PSW and NOW come to mind. The problem with the continuing lack of will to correct error and deal with errorists is that the longer the false teaching stays around, the more the souls of believers are misled and the less likely the error will be corrected. So, if the Synod (regardless of whether or not Harrison will be reelected) does not have the will to weather the storm that will inevitably result from the correction of long held errors, then where does that leave us? Hi Pastor! It is my birthday, for a couple of hours yet. May I ask a favor? What hope, can you afford a stump dumb ewe, that warms the wood in a pew? Both of my sons, attend MLC. What hope can you as a holder of The Office of the Keys? Pastor, I remember you well, what Hope, can you offer, in this sticky wicket? Which as a shepherd, as you are, you are honor bound to provide. Hope, what is it exactly you offer or can afford to give? Pragmatic, is not part of the Office, as I know it to be. Pastor Harrison? No doubt, what so ever. You? What hope? This, the above, is rather devoid. I hope that what I am about to present is taken in a good spirit. I do covet eveyone’s comments, criticisms, and suggestions. The question Heidi has raised is truly of ultimate importance for the consideration of church members in the LCMS, WELS, and ELS. This is true precisely because we are all afflicted with the same issues within our own church bodies. It cannot be legitimately argued that our Synod is united in doctrine and practice. We continue to tolerate the open advocation of error by members of our Synod and have failed to correct either the error or place the errorists under Christian discipline. By the definition of Francis Pieper, this makes us a heterodox church body. A significant percentage of LCMS congregations practice some form of open communion and do so in spite of Synod’s official and Scriptural position of close(d) communion. This despite the fact that the Lord’s Supper is suppose to be the ultimate expression of our Christian unity with Christ and with one another. Open and close(d) communion cannot coincide in unity. Multiple members of Synod openly promote the ordination of women into the Pastoral Office. A quick look at the website https://ordainwomennow.com, will provide all the evidence and names you need to know. Additionally there is the on-going matter of the role of men and women within the church. There are still LCMS congregations with women “elders”, women lectors, women distributing the elements of the Lord’s Supper during communion, and there is the yet unsettled question respecting the 1969 adoption of women’s suffrage within LCMS congregations that reversed 122 years of our prior doctrine and practice in this matter. Some districts still operate district level “Deacon” schools and some of them train men and women for Word and Sacrament ministry in one fashion or another. The reality is that with the passage of the 1969 resolution to enable women’s suffrage in the voter’s assemblies of the LCMS and within the governance structures of Synod itself, the door was opened to every misuse of women in the Synod and in our congregations as a direct result. Large constituencies within the LCMS have already broken fellowship with large swaths of other LCMS congregations by intentionally refusing to either worship or commune at those congregations. When a Christian is avoiding congregations that have abandoned close(d) communion and/or the historic liturgies it is understandable, but it is also the mark of a broken Synod. There is still much disagreement and confusion with respect to LCMS clergymen participating in unionistic and/or syncretistic worship services with clergy of other church bodies with whom we do not have fellowship. To our shame, the Yankee Stadium fiasco of 2001, remains as yet unresolved under God’s Word and our Lutheran Confessions. There are also different views within our supposedly united Synod of the fundamental purpose of Sunday worship. One faction sees worship as a place where God’s people gather to receive His gifts of Word and Sacrament, while another faction sees worship as primarily a place to evangelize unbelievers. These two disparate views are not compatible. Moreover, we are divided with respect to the use of our historic liturgies and the alternate use of so-called “contemporary worship”. One faction sees the historic liturgies as largely ineffective in the evangelism of our secular culture, while the other views the liturgical heritage as both biblical and faithful practice that transcends culture and history. Again, the two views are not compatible. All of these issues and more have resulted from a total failure of our Synod’s ecclesiastical supervisors from the President of the Synod to the individual District Presidents to do the jobs they were elected to perform. Those charged with the maintenance of pure doctrine and biblical practice have simply failed to do so. In most cases this failure is due to considering that the maintenance of the perception of “peace” within the institution of our Synod is of greater importance than the retention of pure doctrine and biblical practice. I have news for those of such a viewpoint: There is no perception of “peace” within our very broken Synod. We have already split, we just haven’t done so formally. From the vantage point of both factions, the Synod – as an institution – is becoming more and more irrelevant to day-to-day life in the congregation. It is no wonder that the institution of the Synod and its hierarchy continue to receive inadequate financial support. To consider that the maintenance of a false “peace” is more important than the maintenance of pure doctrine and biblical practice is to hold the Synod as an idol! What’s more, this idolatry is true irrespective of which faction a member of Synod is in. Both Confessionals and liberals have a problem with Synod as idol. Some have had the honesty to simply leave our Synod. Others have indicated that they would like to leave, but there is no other orthodox Lutheran church body available to join. Others pretend that if they simply remain in their locale and do things rightly, then it doesn’t matter what the Synod says or does. In the end it will matter because pastors either die, retire, or take calls to other congregations. Then it does matter who will replace you and the Synod will have a voice in that. 1. 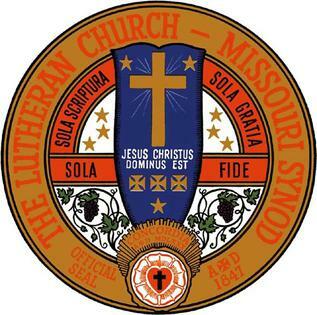 The time of The Lutheran Church – Missouri Synod as a church body that is walking together in doctrine and practice is over. It has been for some time. The Synod will NOT be “saved”. 2. There is no will within the leadership of our Synod to take the steps necessary to correct our errors and to either require repentance or removal of those holding to their error. 3. The “missional” faction within our Synod will not change their ways because they have invested too much into their errant philosophy and theology of glory that serves as the foundation for their lives and their congregations. With exceedingly few exceptions, they will remain the way they are and will not be won over. 4. Eventually, a Synod that does not correct her errors will only end up being further corrupted and fall further into error. 5. It has been demonstrated beyond any doubt that the mere election of an otherwise Confessional man to serve as the President of the Synod, does not and will not reverse the errors in our Synod. If you accept the truthfulness of the above realities, then what must be done? If a reformation within Missouri is not going to occur for the reasons stated above, then orthodox Confessional Lutherans need to stop trying to reform it! If we belong to a heterodox Lutheran Synod, then we need to take C.F.W. Walther’s advice and leave it. When I say “leave it.”, I am not necessarily speaking to faithful Lutheran laymen as much as I am speaking to orthodox, Confessional Lutheran pastors. Pastors are the shepherds of their flock and are to feed their flocks on the pure Word of God and administer the Sacraments in accord with our Lord’s institution. Faithful pastors are also to keep the wolves in sheep’s clothing (false teachers and their false teachings) away from his flock. That is the two-fold nature of the Pastoral Office. When a flock continues to hold membership in a heterodox church body, it increasingly places at risk the souls of the flock over which the pastor has oversight. When it has become clear that the very Synod to which the congregation belongs is the protector of the wolves in sheep’s clothing, then it becomes the responsibility of the pastor to protect his flock from his own Synod. He must issue the warnings. He must teach his flock about the errors our Synod tolerates, and finally, he must make the recommendation to leave a false church body and join a faithful one. It won’t be easy, but the duties of a faithful pastor require the courage of one’s convictions. When the congregation has been adequately taught, then the pastor of the congregation needs to tender his resignation to the LCMS clergy roster with the full knowledge of his congregation understanding that the Synod will require of them to either unbiblically fire their pastor or be removed from the Synod themselves. Being removed from a heterodox church body because a pastor and/or his congregation wish to be faithful Lutherans is a badge of honor, not a disgrace! But, you ask, “Where shall we go?” That has been the excuse for far too long! If there is no orthodox Lutheran church body to which to flee, then it is incumbent on faithful Lutheran pastors to provide one. Our children and our grandchildren deserve a faithful Lutheran church body to call home! To intentionally remain in what is clearly a heterodox church body in order to be faithful to the institution, is to make the Synod your idol. Then the Synod itself has become the thing to which we look for the highest good in life. Faithfulness to a human institution can never become more important than faithfulness to the Word of God. Doctrine takes precedence over Synods every time.